Lisa Earthgirl – Gardening Tips and Helpful Advice » It Might Be Winter, But It’s Always A Good Time To Garden! It Might Be Winter, But It’s Always A Good Time To Garden! This is the perfect time of the year to check bushes for evidence of blackspot or other fungal related diseases. Hollies can be prone to this, but many can be helped by picking the infected leaves and removing the fallen from around the base. So far January has been a wild ride. There is a saying in the Washington area: “If you don’t like the weather, just wait 15 minutes.” This week we have had gorgeous 70 degree days, snow, rain and wind storms. Which means as long as you are flexible with your time, you might find an hour or so to get into the garden and catch up on things when the weather is tolerable. I’ve been asked to chronicle the yearly cycle of when is the proper time to do different tasks, so I will start with my own “garden to-do list” each season in hopes that it will help. 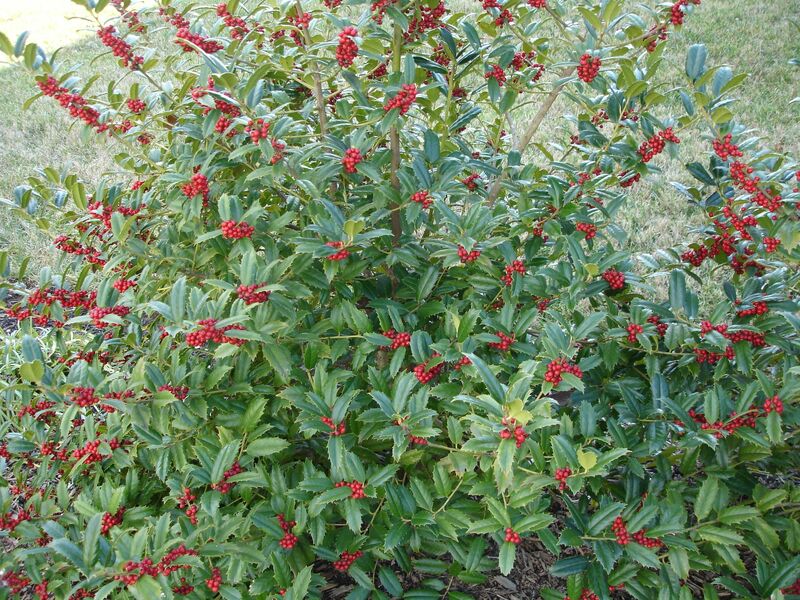 When checking out your bushes, be on the lookout for over-wintering insects. These egg masses are destined for the trash. Be sure not to compost, or you could spread the insect problem! 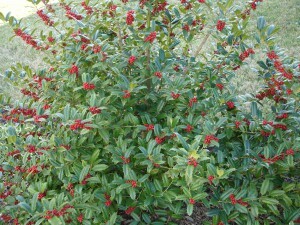 Another task to do this time of the year is to check the bushes for insects that are wintering there. I invariably find large egg masses of scale in my euonymus and juniper bushes. If you cut these out now, you will have far less insect problems next spring and summer. It is worth checking, and you might also locate bird nests more easily with leaves down. I like to make a mental note of where they are so, I don’t disturb them in the spring. 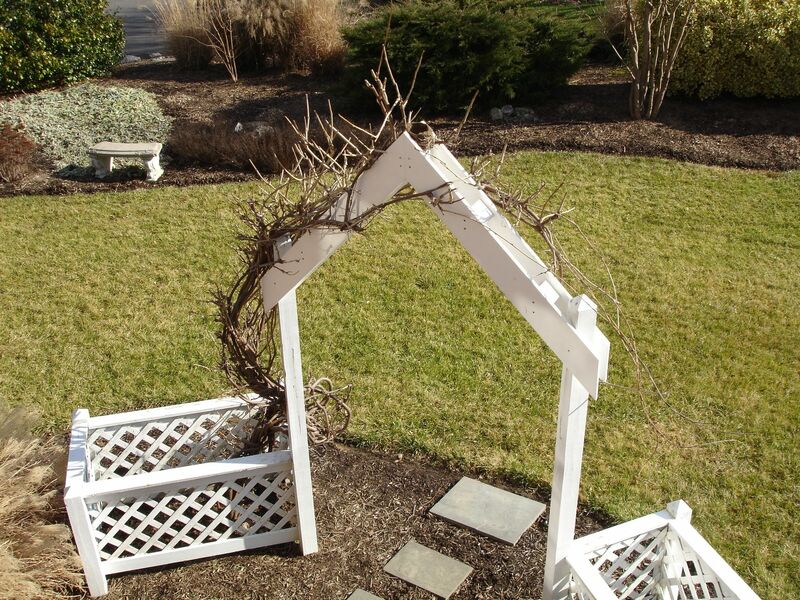 This is the perfect time of the year to cut back wisteria and hummingbird vine as well as butterfly bushes. 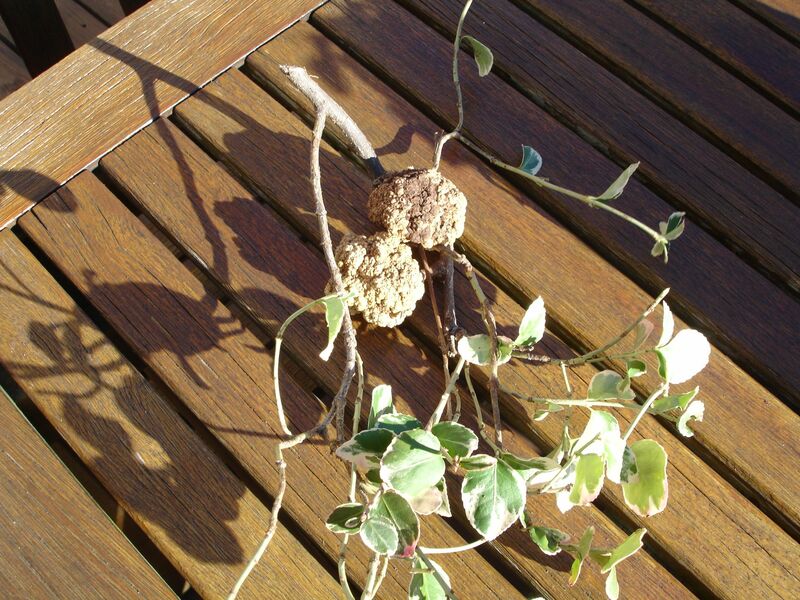 If you cut back, leave 2-3 buds on a branch and you will be rewarded with a fuller plant next summer. This will also encourage more flowering on the wisteria this coming spring. I am also working my way around the yard, cutting down the ornamental grasses, one by one, and the remainder of the other perennials. I have dozens of irises, sedum, coreopsis, liriope, and many others, so if I cut a few back each day it will add up. When I have finished with these, it will be time to move on to the larger bushes. I like to have the hollies and the junipers trimmed back prior to March. They will then set their new growth and fill out shortly after. It seems like this will be an early spring in this region. I am already seeing my crocus and daffodils breaking through the soil, and flower buds swelling on the trees. Here’s hoping we have many more moderate days to enjoy, and give us a head-start in the garden!